An estimated 1 exabyte of data is stored in the cloud. That’s one billion gigabytes. What’s driving this migration en masse to the cloud? It’s fueled by forward-thinking IT departments that are shifting resources and workflows to the cloud. But is it right for your organization? What does it take and where do you begin? High Adoption Rates: 87% of businesses are in operation in the cloud. But only 12% operate entirely in the cloud. That’s changing quickly. By 2020, 62% of organizations will run 100% of their IT in the cloud [BetterCloud]. Size Matters: Smaller, more nimble companies have been quicker in making the transition to the cloud. A company with fewer than 19 employees is almost 20 percent more likely to have adopted the cloud than a midsize company with more than 500 employees [PC World]. The Cloud is a Big Investment: There’s projected to be a 20% growth in SMB spending on the cloud in the next five years. The overall spending on the cloud has gone from $145B in 2013 to a project $235B in 2017 [PC World]. Most cloud services can be categorized as either Infrastructure-as-a-Service (IaaS), Software-as-a-Service (SaaS), or Platform-as-a-Service (PaaS). Amazon offers a broad set of global compute, storage, database, analytics, application, and deployment services. From Gmail to Google Docs, Sheets, and Calendar… more than 5 million companies are using Google Apps to increase workplace productivity and collaboration. Founded in 1999, SalesForce offers customer relationship management (CRM) software. With over 100,000 customers and a market capitalization of $50 billion. a core IT service for authenticating, authorizing, and managing users, their devices and applications. SSO providers such as Bitium help companies organize, manage and secure access to cloud applications. Spanning offers reliable backup and recovery for businesses using Google Apps, Office 365, and SalesForce. Honorable mention: Dropbox, Gmail, Google Docs, Pinterest, Instagram, Sina Weibo, Tumblr, Prezi, Yahoo Mail, Flickr, Evernote, Photobucket, Myspace, Shutterfly, VK. Honorable mention: Yammer, ServiceNow, SuccessFactors, Adobe Echosign, LivePerson, Concur, Workday, MSDN, SAS On Demand, Github, Zendesk, Informatica Cloud, Ariba, Host, Analytics, ralinks. Who is Making the Move to the Cloud? From startups to multinational corporations like Subaru, Revlon, and Columbia, it might be easier to answer the question of who isn’t making the move. Philip Guido riddled in Forbes, “What do an insurance company, grocery store, and education service all have in common?” The answer: they’re all using the cloud. 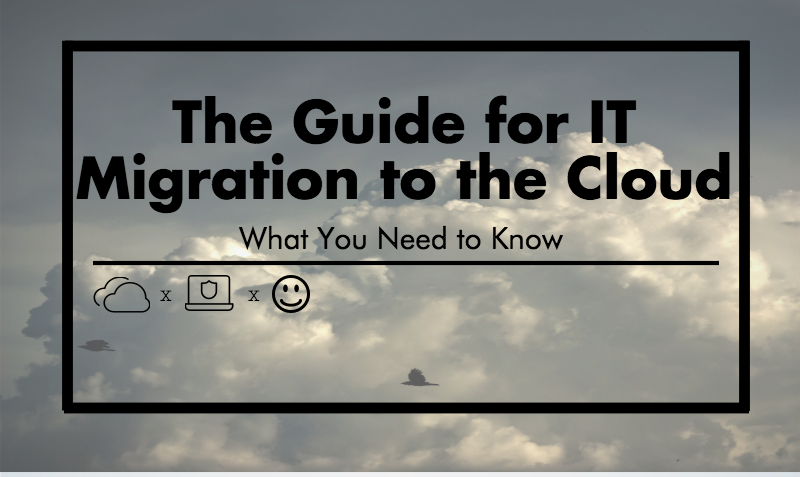 Nearly any organization stands to benefit from a complete or partial cloud migration. Still, there are some factors that contribute to the likelihood that an organization moves to the cloud. Smaller companies are often more agile. That explains why they’re moving to the cloud more quickly than their big brothers. They’re also more likely to move completely to the cloud. According to a survey from BetterCloud, more than 50% of all SMB organizations surveyed expect to run 100% of their IT in the cloud by 2020. Bigger enterprises are about five years behind. One of the strongest correlations with cloud adoption is the age of the organization itself. 66% of organizations five years old or younger expect to run 100% of IT operations in the cloud by 2017. That number is only 9% for organizations 21 years or older. A generation of kids have already “grown up Google” (Mashable). Younger users and are more accustomed to working on the cloud and are quicker to adapt to new technologies. In fact, IT professionals with fewer years experience are more likely to currently run 100% of their IT in the cloud. Not sure whether or not to move? Migrating to the cloud is often touted as an inevitable, obvious, slam dunk “Yes.” The reality can be a little bit more complicated. Not all workloads benefit equally from the move. Even if a migration to the cloud is inevitable eventually, it may not be your organization’s time this exact second. Here are some questions to ask that will help you determine if your organization is ready for a move to the cloud. What will it cost to operate on the cloud? Many cloud service providers charge a consumption-based, monthly fee. Most of the cost comes from CPU and disk I/O consumption. How will the apps in use function in the cloud? The cloud is not “one size fits all.” Every company has different needs and different applications. Know yours – and how they will perform in the cloud. What will you do with existing on-premises investments? Outsourcing to the cloud may mean transitioning away from existing, on-premises data center resources. Should I employ a CSB (Cloud Service Broker)? Three roles of a Cloud Service Broker are cloud service intermediation, aggregation, and cloud service arbitrage [Talkin’ Cloud]. Is your business a candidate for virtualized workloads? Some providers will allow an organization to port virtual machines directly to the cloud. What will you do for a directory? Microsoft Active Directory is deeply entrenched in many conventional organizations. But AD was built for an on-premises, Microsoft environment. It has a lot of difficulty authenticating and managing the plethora cloud resources and applications. This is why more organizations are turning to cloud-based directory services (DaaS). It’s even possible to use Google Apps as an authoritative cloud directory. At JumpCloud, we pride ourselves on being at the forefront of cloud technology. Feel free to contact us with questions about moving to the cloud. Our area of expertise is cloud-based directory services.